Removal of the Old Market Cross from western end of Market House which is now the main entrance to Lloyds Bank. 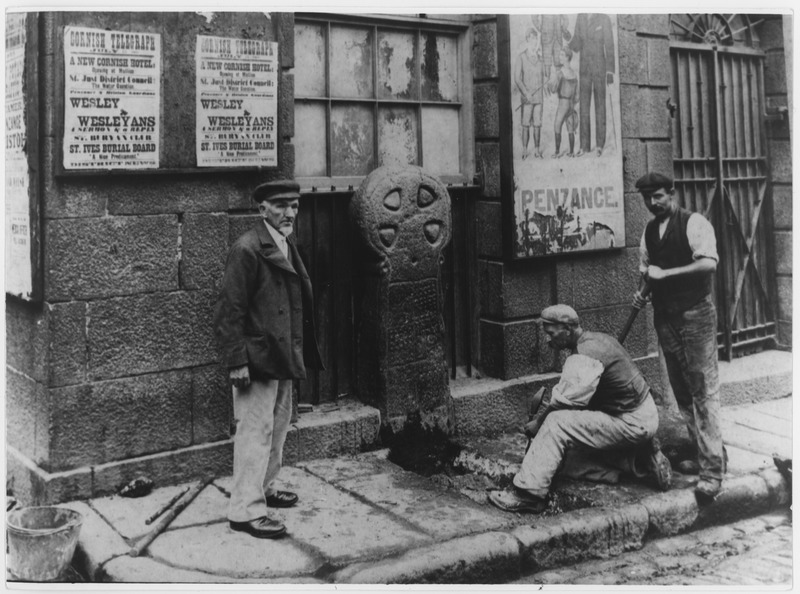 The Cross is believed to have been originally placed in the Green Market before being moved to Market House, then in Morrab Gardens and then in Penlee Gardens where it stands today (2016) outside the Penlee House Gallery & Museum. “Removal of Market Cross from Market House,” Morrab Library Photographic Archive, accessed April 19, 2019, http://photoarchive.morrablibrary.org.uk/items/show/7093.